We recommend making an appointment so you can get in and out fast! We know that many people get nervous when it comes time to see if a car or motorcycle is going to pass or fail. You can be at ease with us. We're not looking for things to sell you; we're looking to see if your vehicle is safe to be on the road. If your vehicle passes, great! We'll give you the passing slip and then you can down the street to the new DMV to register your vehicle. (we're just 1 mile away) If the vehicle does fail, we provide you a quote to repair along with the failing slip. You always have the option to repair at our facility, take it elsewhere, or do it yourself.... but the failed part must be properly repaired and the vehicle reinspected before you can register at the DMV. We always offer free reinspections within 20 business days of the failure date regardless if we completed the inspection or not. 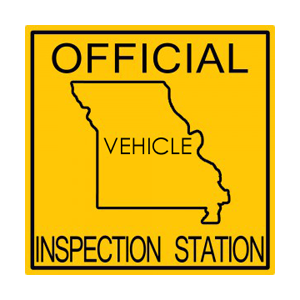 We're an Official Missouri Vehicle Inspection Station. Vehicles 5 years old or older, or over 100,000 miles, require annual or bi-annual safety inspections. Newer vehicles from out of state that need title and plates require an IDOD (identification and odometer statement). IDOD inspections are $10 and do not require an appointment. We are an Official Motorcycle Inspection Station. Motorcycles larger than 49CC require annual or bi-annual inspections. Want to know what our inspectors are inspecting? 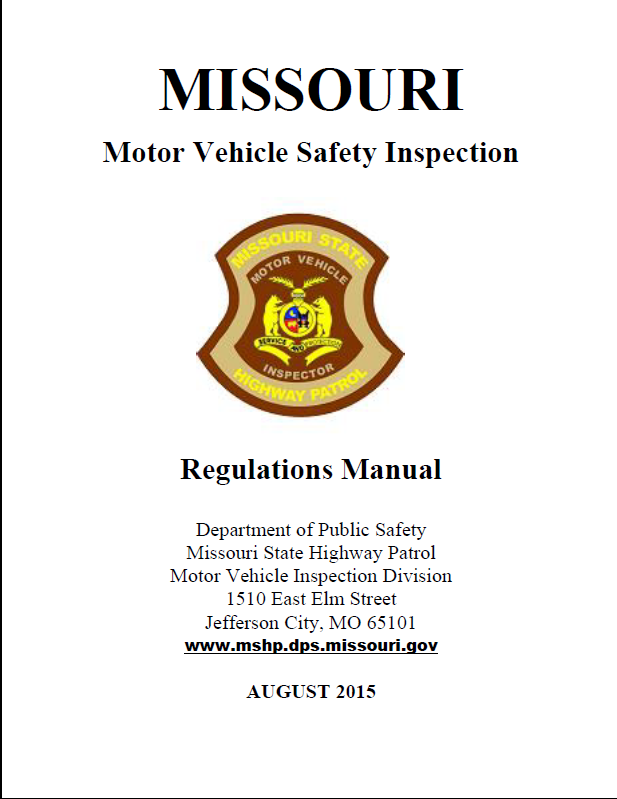 Download and review the Missouri MVI Regulations Manual by clicking on the photo.